Wize Monkey has provided me with Jasmine for the purposes of providing an honest review. 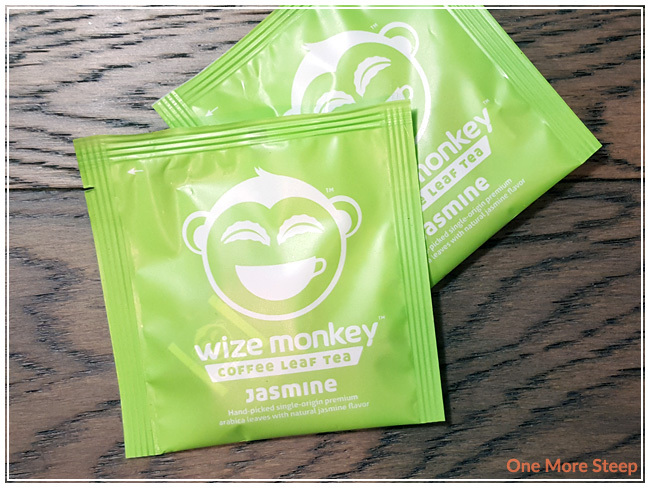 Jasmine from Wize Monkey came to me in individually wrapped sachet form. I still love the cute monkey logo (can’t get over how cute it is). Each pyramid sachet contained the coffee leaf tea. I found the aroma of the Jasmine sachet to be quite floral. It reminded me a lot of a jasmine green tea (surprised? ), with just a hint of the coffee leaf tea in the background. 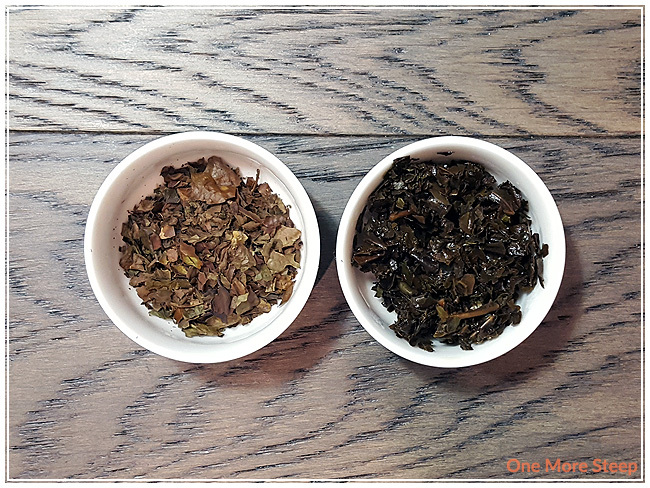 Jasmine consists of arabica leaves and natural jasmine flavour, so the only ingredient I could see was the dried arabica leaves. I wish that instead of jasmine flavouring, they used jasmine flowers instead – just for the added flavour and the aesthetics. Wize Monkey recommends steeping Jasmine in 95°C (203°F) for as long as you want. My initial steep of Jasmine was for 5 minutes. Jasmine steeps to a beautiful golden orange. The aroma that wafts up from the steeped tisane reminds me a lot jasmine green tea. The floral notes are quite strong and have a presence behind it. On first sip, the first thing that I notice is the floral sweetness from the jasmine flavouring. The coffee leaf base is overwhelmed by the jasmine flavouring, so most of what I get is the floral flavours. There’s almost a honeyed sweetness to it, but not cloyingly so. I resteeped Jasmine twice. I found the first resteep to be remarkably similar to the first, with the same bright floral notes. 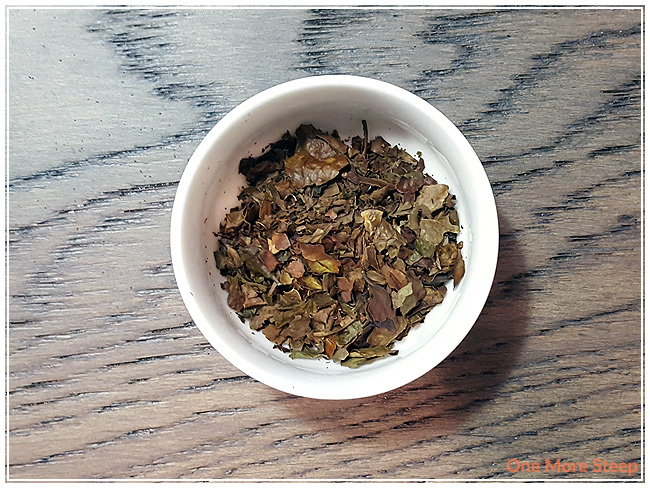 The second resteep lacked a considerable amount of jasmine flavour to it, so I would say that Jasmine is good for one more steep. I loved Wize Monkey’s Jasmine. I really quite enjoyed the fact that Jasmine reminded me so much of a jasmine green tea, with the added bonus that it didn’t get bitter or astringent from being oversteeped. 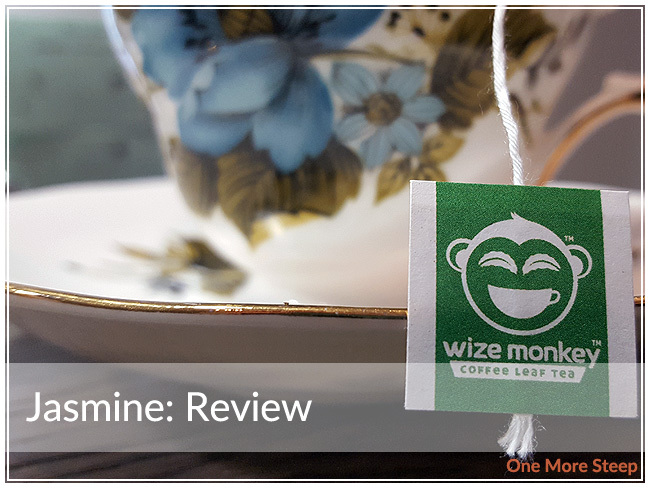 As I’d mentioned in a previous Wize Monkey review, the company makes it a point to state that their coffee leaf base doesn’t get bitter if it’s steeped for a long time. This is such a nice feature, because despite the fact that I love jasmine green teas, all of them can be sensitive to being oversteeped and the last thing I ever want to drink is a bitter cup of regret. 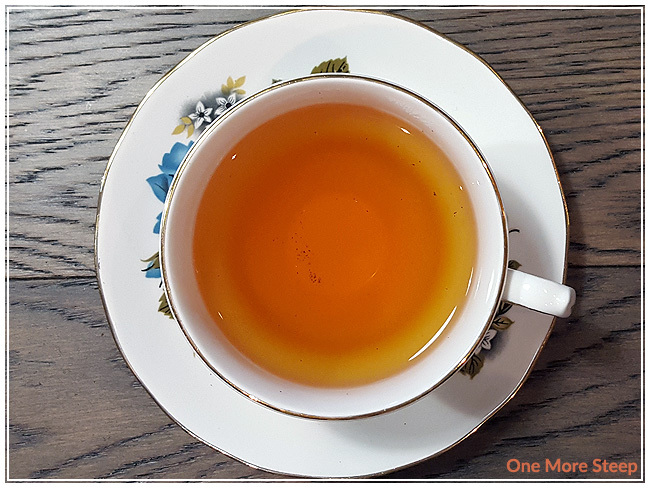 Jasmine would be an excellent alternative to a jasmine green tea if you’re constantly forgetting your steeping cup of tea somewhere.